*4,476 SQFT* 3 STORY CUSTOM LAKE VIEW HOME 1 BLOCK FROM BOAT RAMP #7. LOTS OF PARKING FOR RV AND BOATS. FRONT COVERED BALCONY AND 3 COVERED DECKS IN THE BACK. CUSTOM SPIRAL STAIRCASE AT ENTRY. HUGE GAME ROOM WITH FULL KITCHEN. SELF CONTAINED GUEST SUITE WITH FULL BATH. LARGE OFFICE WITH LAKE VIEW. INTERCOM SYSTEM THROUGHOUT. LARGE EAT IN KITCHEN. PRE PLUMBER WATER SOFT. CROWN MOLD. ART NICHES, STEP CEILINGS, ZONED HVAC. ALARM SYSTEM, LOTS OF BUILT IN STORAGE, GATED ENTRY, LARGE GAME RM. LARGE LAUNDRY ROOM ON 3 LOTS / .51 OF AN ACRE. OVER SIZED GARAGE. GATED ENTRY. Courtesy of Preferred Partners Realty, LLC. 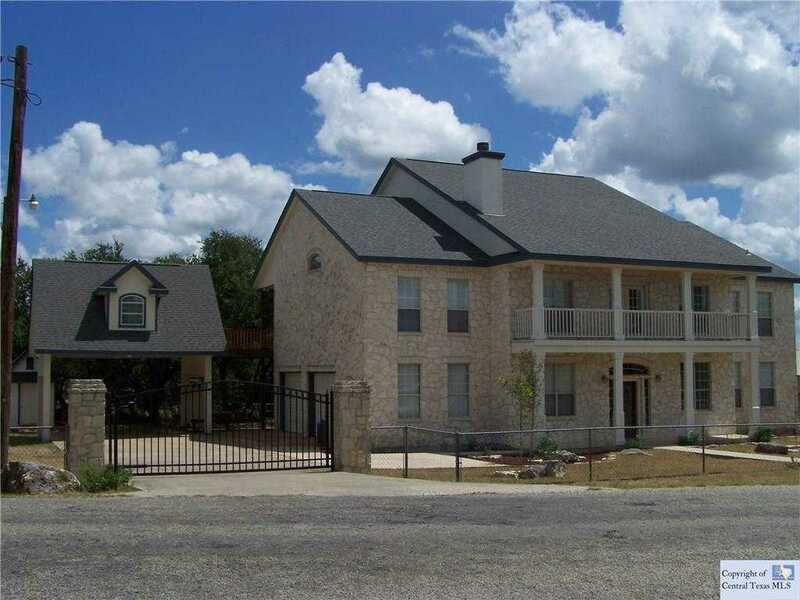 Please, send me more information on this property: MLS# 301902 – $419,900 – 359 Friendlywood Drive, Canyon Lake, TX 78133. I would like to schedule a showing appointment for this property: MLS# 301902 – $419,900 – 359 Friendlywood Drive, Canyon Lake, TX 78133.